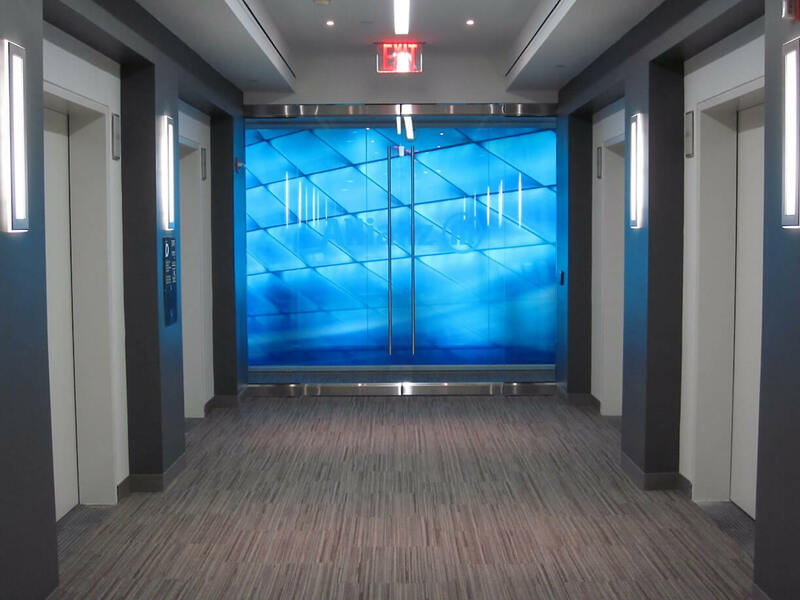 Here is the New York City Allianz corporate office entrance, with their new Color Group-designed doorway and glass hallway. The abstract blue image is actually a translucent film picture closeup of the Allianz Arena in Munich. We are always experimenting with new materials. To learn more, visit our Large Format page. The San Francisco Art looks fantastic! Walking the new office now with the local architects… they actually want some for their houses! Our latest set of stretched canvases are decorating the walls of the Allianz corporate offices… It is a nice treat to see our artisan-crafted prints in action!